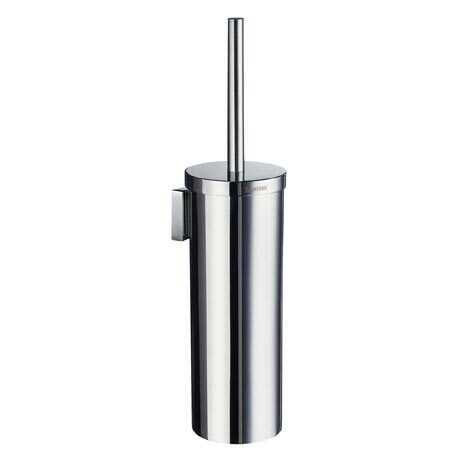 The stylish and high quality Wall Mounted Toilet Brush from the Smedbo House range is an essential accessory for any modern bathroom. It can also be used freestanding if preferred and comes with a hygeinic inner plastic liner. Constructed with a solid brass core and copper-zinc alloy which is rust resistant and beautifully finished in a durable polished chrome coating. Smedbo products are made to the highest standards with special blacksmith attention paid to every detail.